Excitive Real Leather Swivel Chiar. With chrome and mahogoney trim. Gas adjustable heigth and tilt. 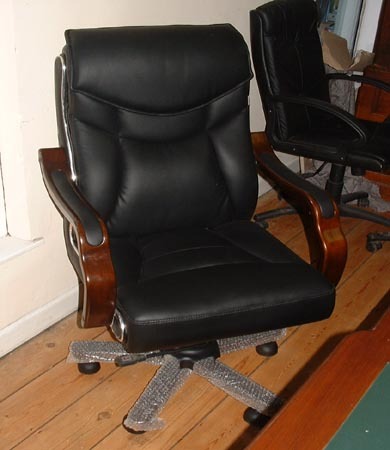 This Chair goes well with both our modern and antique desks.